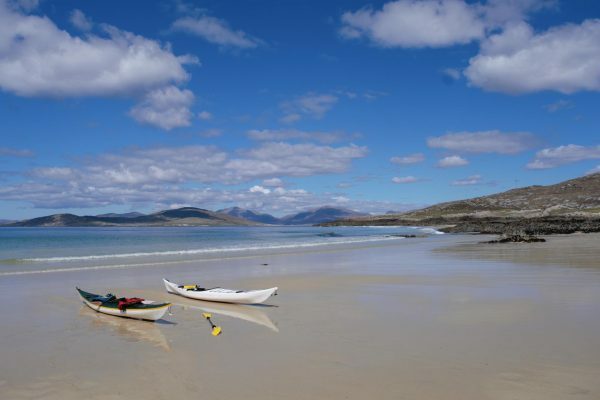 Sea kayaking trips around the stunning Harris coastline. Roam is all about getting people out onto the water to enjoy the beauty and diversity of the incredible Hebridean landscape. Paddling is for everybody, whether you are a complete beginner or a seasoned paddler. Have a look at where we go. 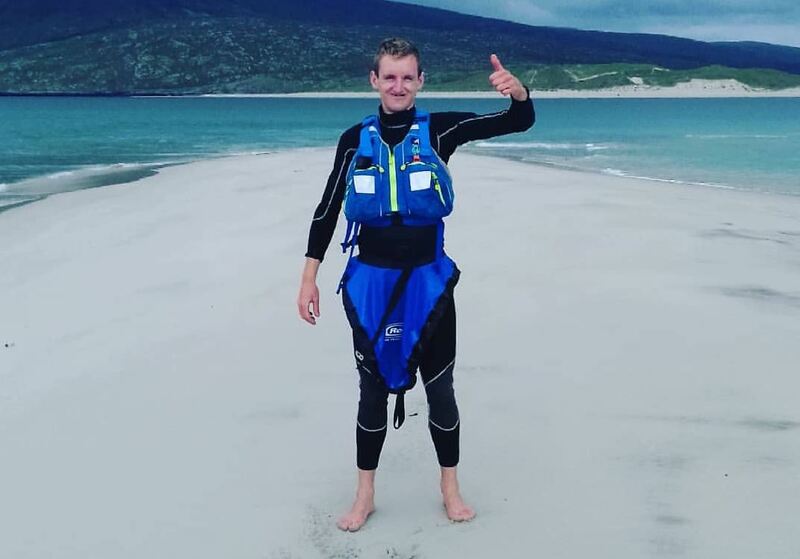 A qualified Sea Kayak Leader and Outdoor First Aider, when Andrew isn't leading sea kayaking tours, he can be found trotting across the Harris hilltops, kitesurfing at his favourite beach (Seilebost), or eating Fish and Chips in Tarbert. Complete beginner to seasoned paddler, there is a trip for you. Sea kayaks from reputable manufacturers: Wilderness Systems, Nigel Denis and Prijon. Maximum group size of four makes for a safe and personalised tour. Safety is top priority; all necessary emergency equipment is carried. "Well organised, all kit provided, we had a wonderful fun day out and was tailored to our abilities and preferences. Andy is a great instructor, gets everyone involved, easy to get along with. I have already highly recommended it to many of my friends!" "My wife and I signed up for a shorter trip knowing that we are truly novices. Andrew was perfectly great; safety minded, patient & expert in this sport. All of which led to a wonderful afternoon and a memorable excursion! Highly recommend from my perspective." 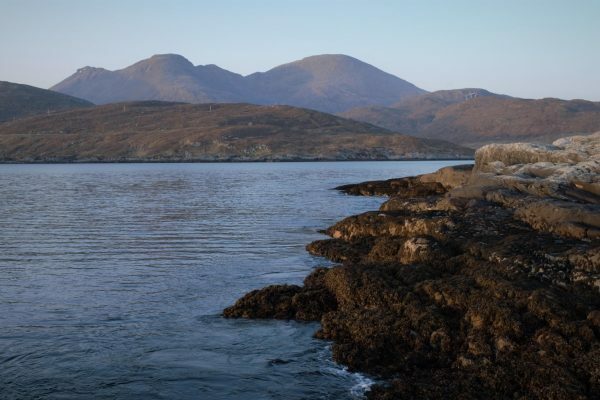 The Isle of Harris coastline is incredibly diverse, from sweeping white sand beaches to labyrinthine rocky inlets. Paddling location will depend on weather and tides – explore the map below. 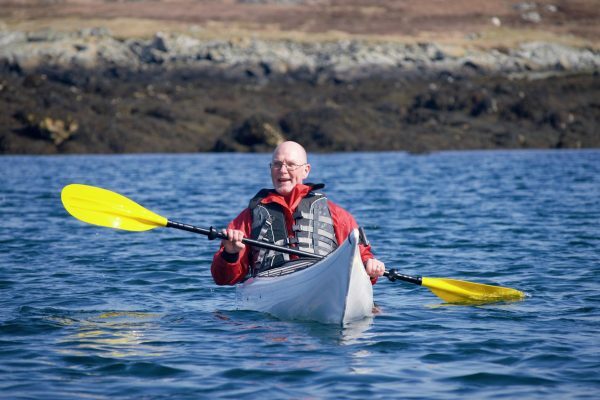 All sea kayak trips are tailored to the interests and abilities of participants. 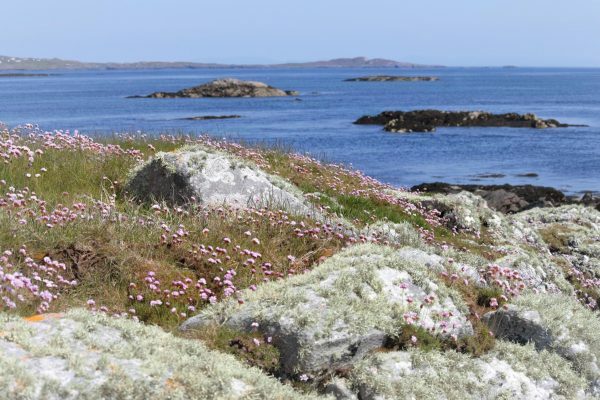 You’ll see sea birds aplenty, from gannets to oystercatchers, and curious seals are often popping their heads up. The lucky ones might glimpse an otter frolicking in the shallows, or a porpoise coming up for air! 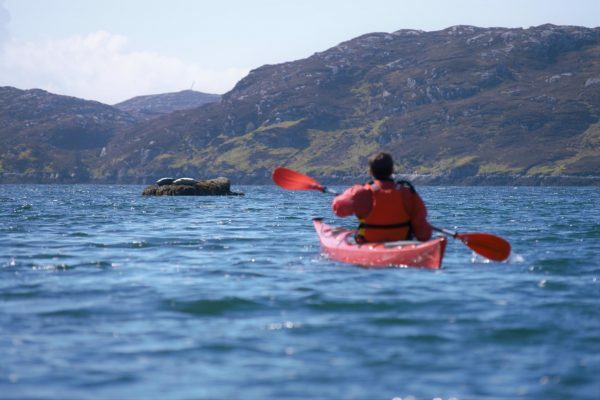 East Loch Tarbert – myriad islets and sheltered waters make for a fantastic paddle, particularly for beginners. Look out for otters! 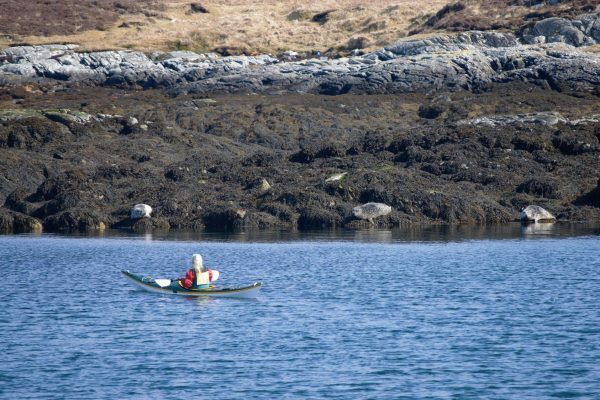 Isle of Scalpay – seals aplenty and lots of islands to explore. Take a day and circumnavigate the island! 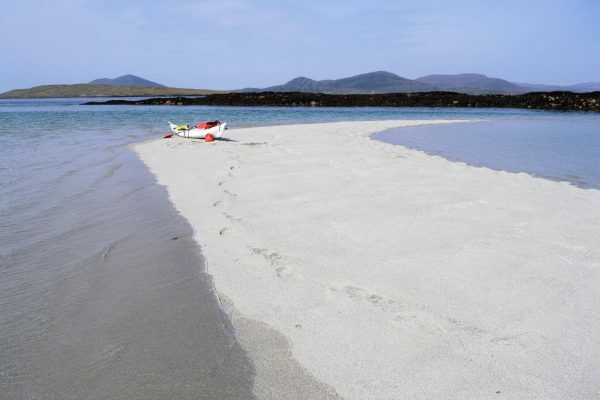 Horgabost and Seilebost – paddle through turquoise waters over white sands, and if the weather is good, cross the sound to Taransay! 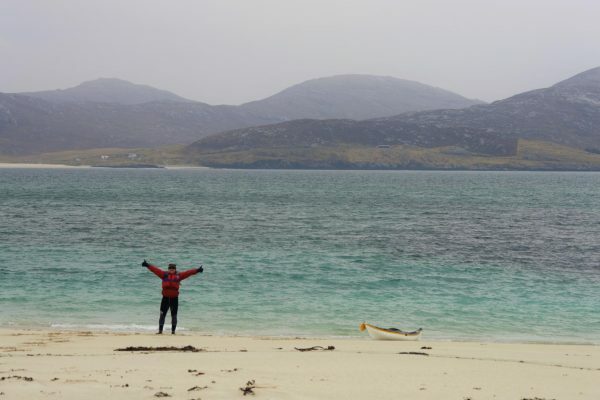 Sound of Harris – explore the now uninhabited islands of Ensay and Killegray and enjoy using the tide to do the hard work for you (one way at least)! 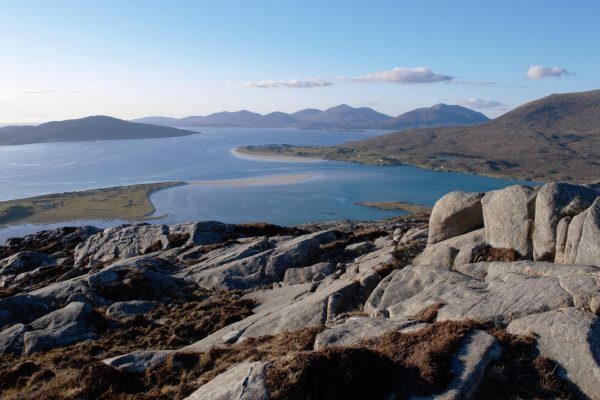 Bays of Harris – labyrinthine inlets and natural harbours – the seals love it here too! Huishnish and Scarp – the final frontier. White sand beaches backed by the rugged mountains of North Harris. A full day is required to explore this little corner of paradise. Do I need to have kayaked before? No! It is possible to go sea kayaking without any prior experience. The trip will be modified according to your experience, ability and confidence level. You just need to bring a swimsuit, towel and something warm to wear on top! Feel free to bring a camera or spare clothes; drybags can be provided and items stowed in the kayaks. 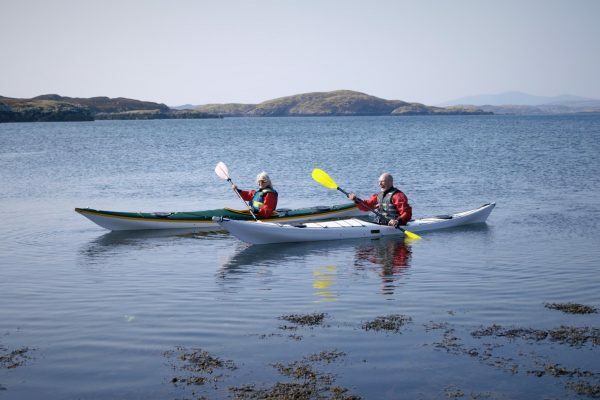 Included in the price of the tour is the use of a sea kayak, a ‘long john’ type wetsuit (without arms so that paddling is comfortable), spray top, buoyancy aid, wetsuit shoes, and a spray deck, if you would like to use one. Do you have double kayaks? At present, no, but please check as it is likely to happen in 2019. What time are your trips? Generally, for half day trips we’ll meet at 9 a.m. or 3 p.m. For full day trips we’ll meet at 10 a.m. This is subject to change due to weather or tidal conditions, but you will be informed the day before. Do I need to be able to roll? No! Rolling back up after a capsize is an advanced manoeuvre – you don’t need to be able to do this! People very occasionally capsize on a Roam tour. This always happens because the participant is tense or nervous. If you are relaxed, you will have no problem! Andrew is excellent at spotting the early signs of nervousness, and can guide you through the process of relaxation at a pace that suits you! If you do capsize, Andrew can easily get you back into the boat, and in a wetsuit you will remain warm for the rest of the tour. Equipment ranges in size from Small to Extra Large. While the sea kayaks are very buoyant, the ‘cockpit’ does place a limit on size. Those with doubts about fitting into an XL wetsuit should raise their concerns prior to booking. Due to the size of the sea kayaks (they are over 15 feet/5 metres long), the minimum age is 12 years old. Do you have a minimum/maximum group size? The minimum number of people required for a trip is two. The maximum is four. This makes the group very manageable and makes for a personable, friendly trip! Currently, taking dogs on sea kayak trips is not possible. If you would like somebody to look after your dog while you are kayaking, please contact Yvonne at Paws On Harris, via phone on 07973815262 or email at yvonnebissell@hotmail.com. A 50% deposit is taken to secure the booking. The deposit is refunded in full if cancellation is made 7 days before the trip date. The deposit is not refunded if booking is cancelled within 7 days. Full payment is taken the day before, after which no refunds are given. A full refund is given if the trip is cancelled due to weather. Location of sea kayak tours depends on the weather and tidal conditions on the day. This information will be given to you the day before. See our ‘Trips’ section for where we might go! As a general rule, if the wind is coming from the West, we will kayak on the East side, and vice versa. Isn’t a full day too long to be kayaking for? Full day trips are leisurely affairs. They generally mean we can take a bit more time to stop off, have a look around, drink tea and eat flapjack! While it affords more time to get to more remote places, it doesn’t necessarily mean we will be paddling for twice as long as a half day trip! How do I get to Harris? You have three options using the ferry. Take the ferry from Ullapool to Stornoway (Isle of Lewis), and drive one hour south to Harris. Take the ferry from Uig (Isle of Skye) directly to Tarbert, Harris. 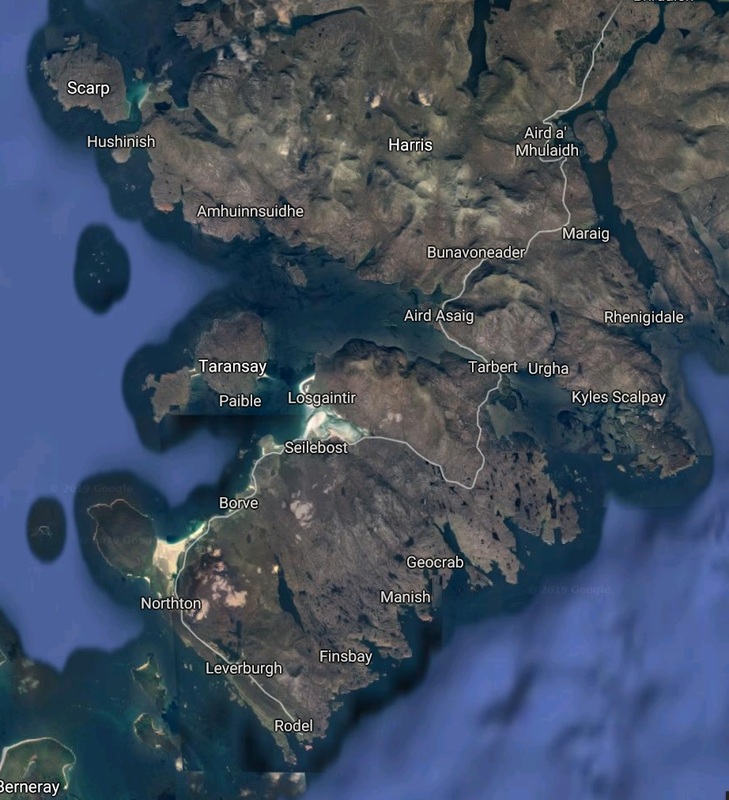 Take the ferry from North Uist/Berneray to Leverburgh (South Harris), and drive 30 minutes to Tarbert. You can also fly to Stornoway from many locations using Loganair. Buses operate around Harris – timetables can be found here. Having a vehicle is preferable as you are not constrained by the bus routes and timetable. You can hire a car from Car Hire Hebrides. Yes, public liability insurance is in place. 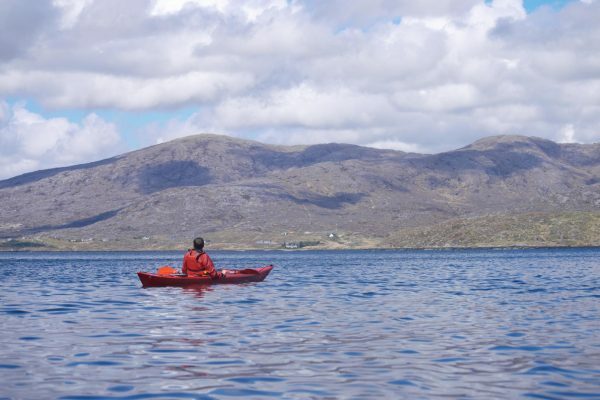 Give the perfect gift – sea kayaking from the Isle of Harris!